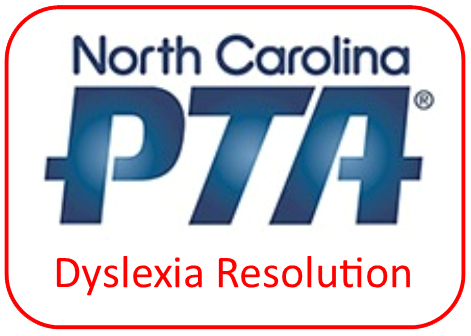 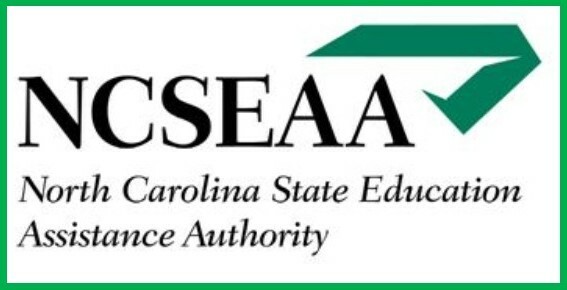 The North Carolina PTA has announced that their board of directors has adopted a resolution on dyslexia. 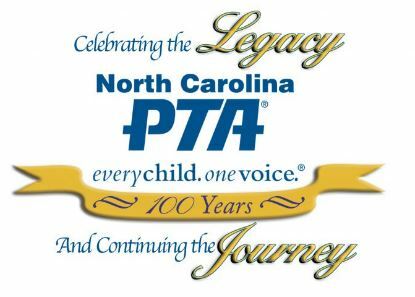 We would like to thank the PTA and it’s board of directors for supporting our advocacy efforts by helping highlight dyslexia and the support that students with dyslexia need in school to succeed. 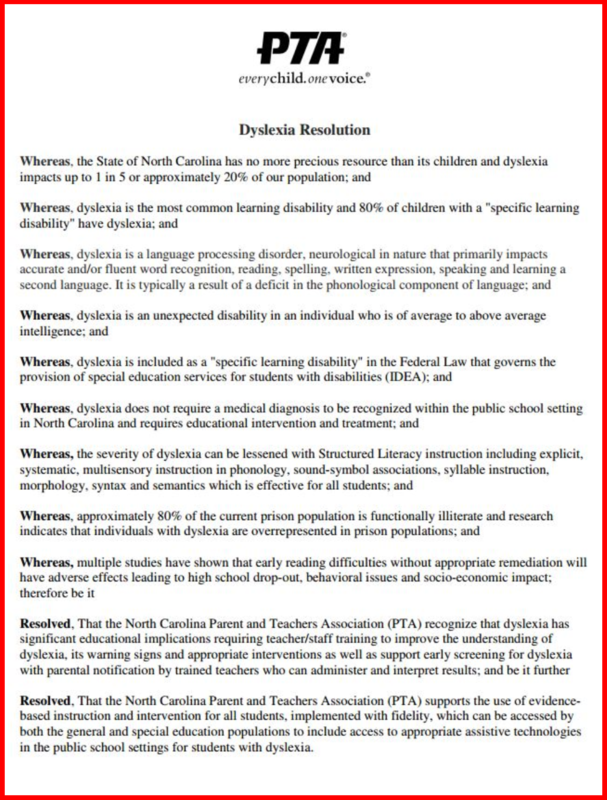 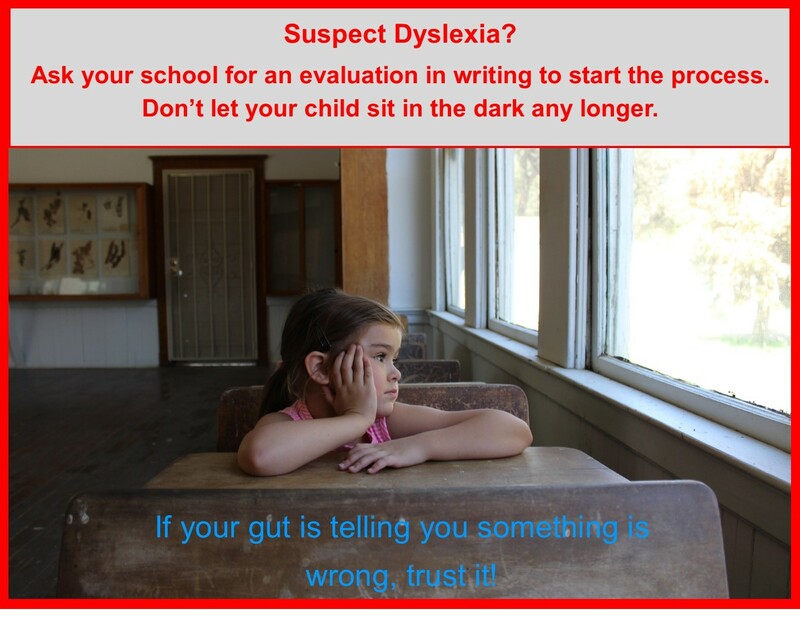 Please feel free to share and use this resolution in your advocacy efforts for dyslexia. 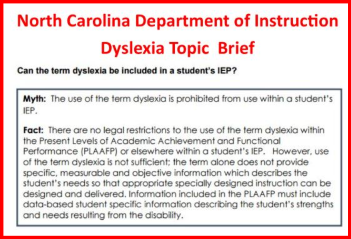 ← IEP Process: Yes, it can happen over the summer!